See scan - very good condition. 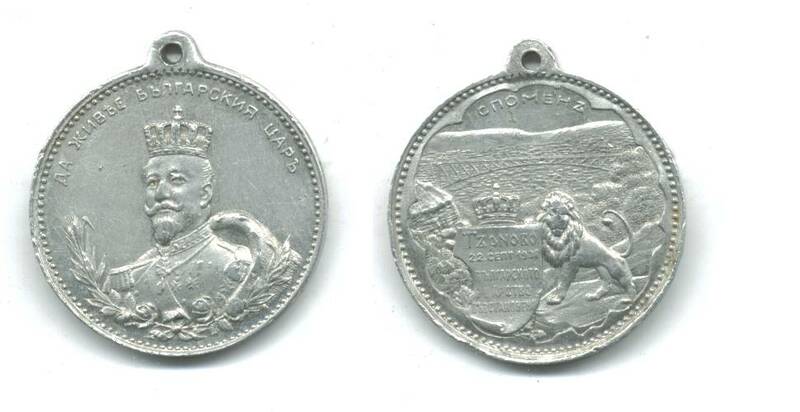 This is one extremely rare Bulgarian Royal medal from the Royal coronation ceremony of the Bulgarian King Ferdinand I held in the town of Veliko Tarnovo duruing 1908 and the proclamation of the Kingdom. Extremely rare piece made of aluminum and just one of the 2 pieces found that pictures King Ferdinand I wearing a Royal crown. A true collector item.